Each word is clearly illustrated for easy learning and all the words are listed alphabetically at the end of the book. 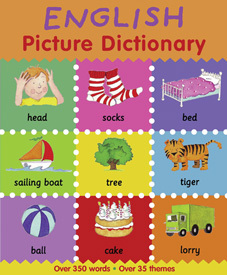 English Picture Dictionary is suitable for early language learning. This book is ideal for young English-language learners but would also be suitable for native English-speaking children learning to read.